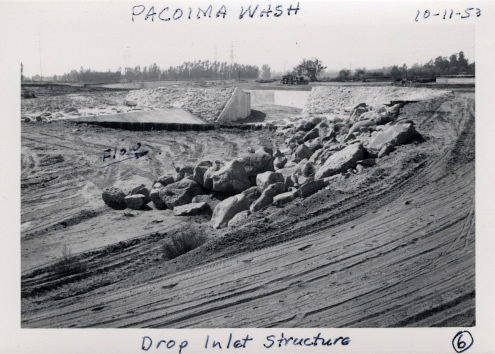 Have you ever wondered about that large cement canal running through the San Fernando Valley, past Griffith Park, east of downtown Los Angeles, and eventually to the sea, emptying into the Port of Long Beach? We still call it a river, the LA River. 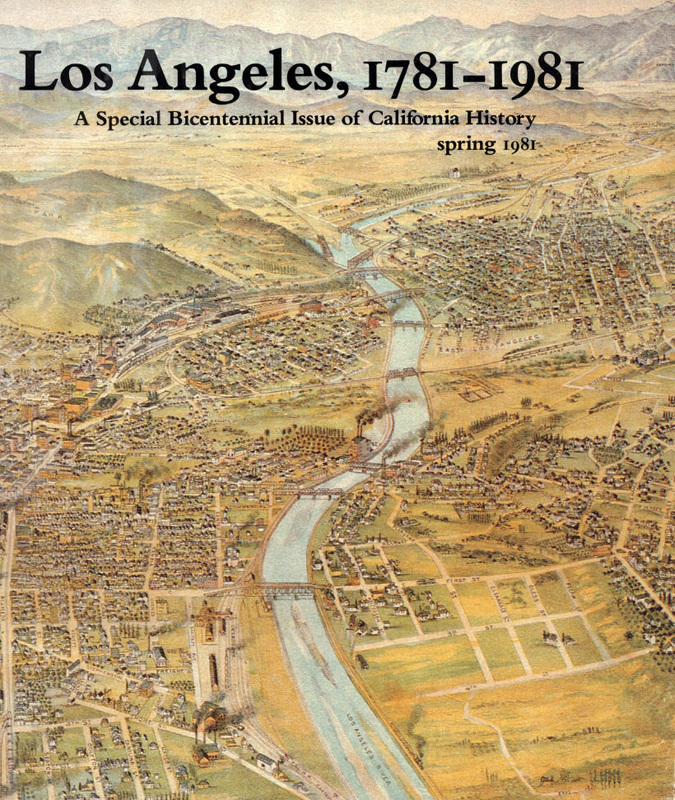 Originally, the river flowed freely along the alluvial flood plain that is now Los Angeles and Long Beach. There was rarely a set course for the river and flooding was common (the Great Flood of 1862, and others in 1914, 1934, and the 1938 Flood.) 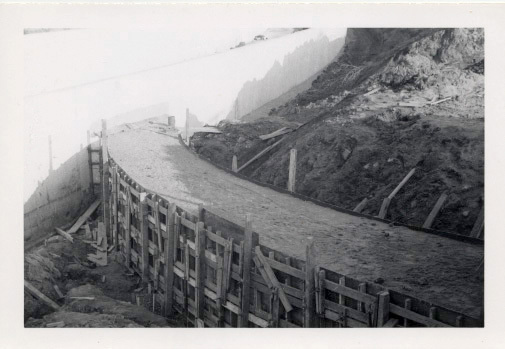 Following the 1938 Flood, control measures began in earnest and the Army Corps of Engineers began construction of the now fifty-one mile long flood channel, today mostly concrete. 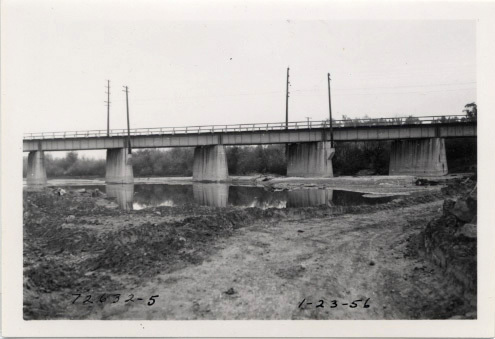 Just over fifty years later, efforts began to restore and revitalize the Los Angeles River. 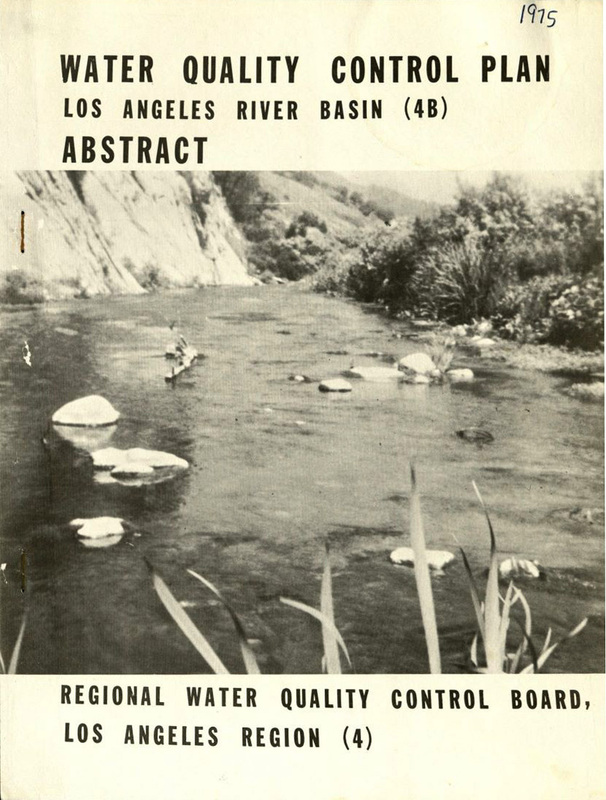 The Friends of the Los Angeles River, founded in 1986, has been recognized as the first grassroots organization to advocate for the restoration and ecological health of the river. 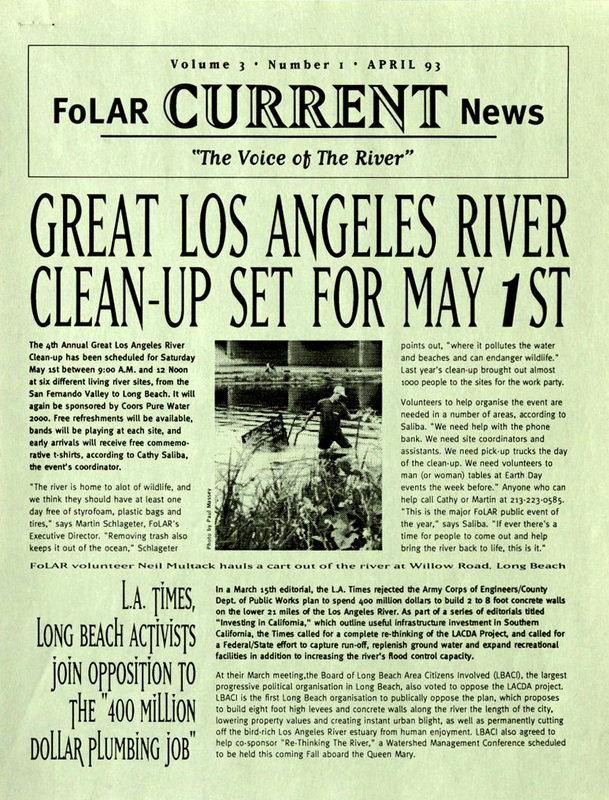 Their first annual Great LA River Cleanup was thirty years ago and has grown to include thousands of volunteers. Advocates have initiated legislation, policies, and myriad revitalization projects throughout the intervening years. 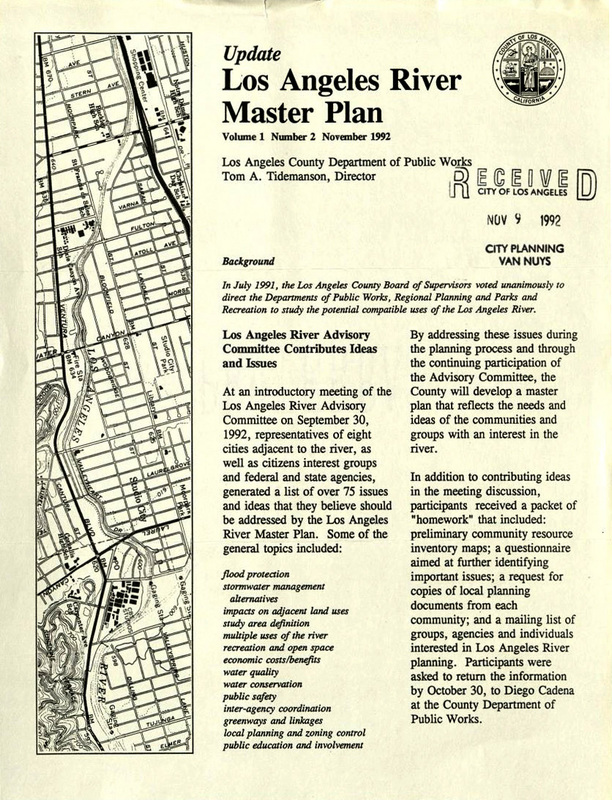 In 1992, the Los Angeles River Advisory Committee to the Department of Public Works met for the first time where they generated a list of issues and ideas for inclusion in the Los Angeles River Master Plan. 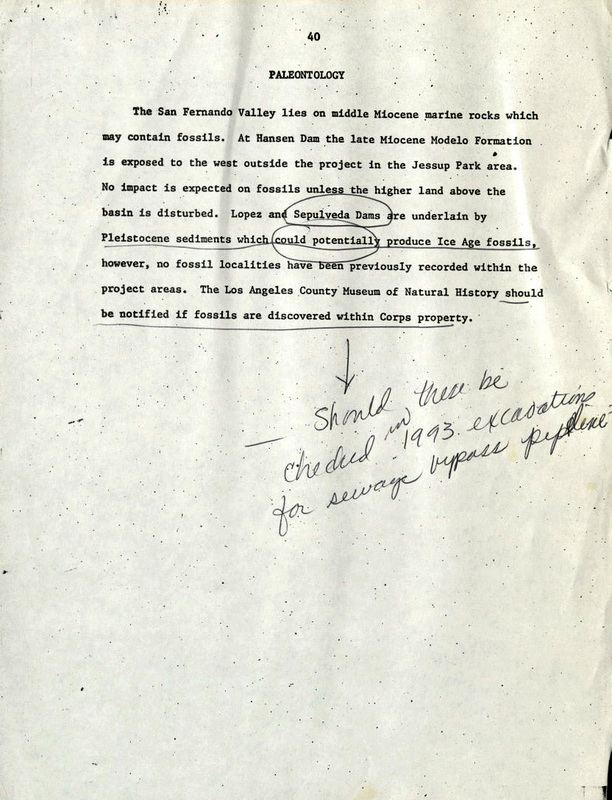 In the Master Plan’s draft report, the goals of the project included a number of goals, such as: 1. 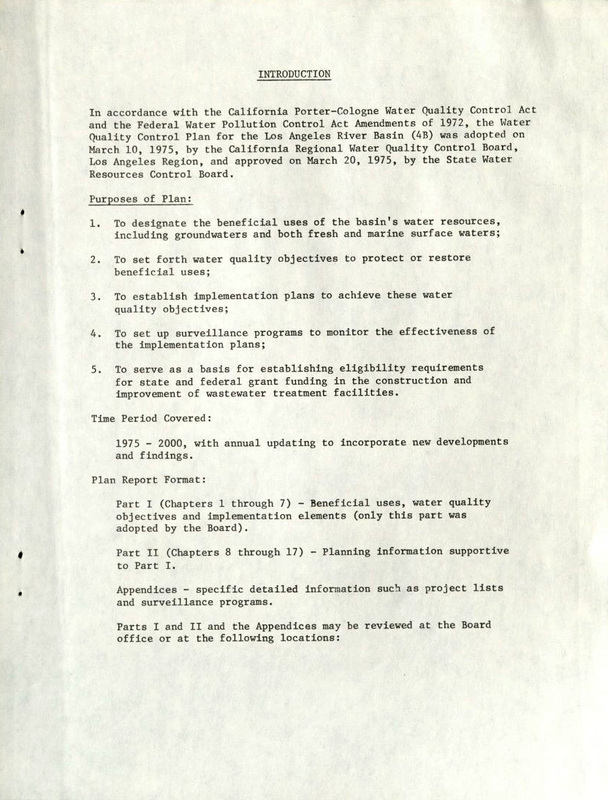 Ensure flood control and public safety needs are met; 2. Improve communities’ pride and appearance of the River; 3. Preserve, enhance and restore environmental resources in and along the River; 4. 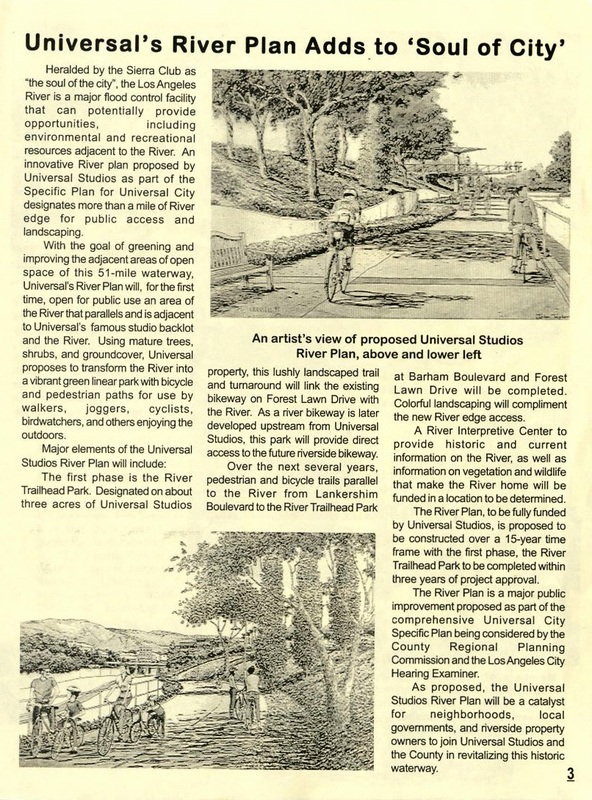 Provide a variety of recreational opportunities along the River in a safe environment. 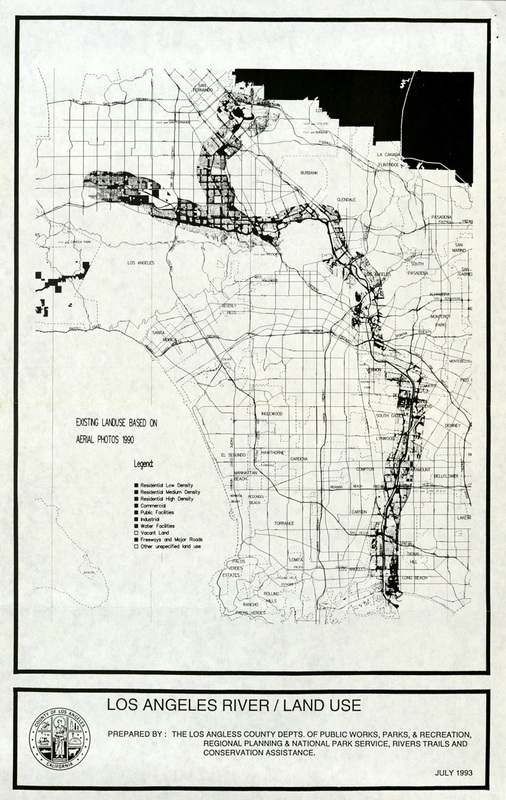 Today, the advocacy continues with the City of Los Angeles’ River Revitalization project which includes plans for bikeways and greenways through the San Fernando Valley, Ecosystem Restoration, parks and green spaces along the river in downtown LA and the Albion Riverside Park Project, an expansion of the Downey Recreation Center. For CSUN's part, "Future Currents: LA River," a collaboration between students of the Mike Curb College of Arts, Media, and Communication and local and national artists had its official start in summer 2018. This project aims to engage and educate the public about some of the challenges the LA River is facing.